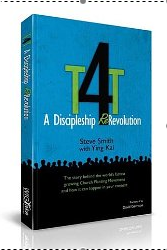 Ying Kai in the book, T4T: A Discipleship Re-Revolution , shares how he taught a group of 30 impoverished farmers how to tell their stories, and then encouraged them to share their stories with at least 5 people during the coming week. The next week they shared reports of what had gone on. Eleven people had shared their story, but one farmer had led 11 people to the Lord. As they continued telling their stories and then training those they led to the Lord to also share their own stories, things began to multiply. Within a few months, more than 12,000 people had been baptized and 908 small churches had formed. Now, 10 short years later, there have been more than 1.7 million baptisms as a result of his training, which is based around a person's ability to tell their story. In the New Testament, there are four accounts of Paul's conversion on the road to Damascus. There is the actual story in Acts 9, but on three other occasions, Paul tells his story, twice to persuade others about Jesus (Acts 22, Acts 26, Galatians 1). On each occasion he uses the same three part format for his story. Telling our story in just a few minutes is a skill we should all have as a tool. It's worth spending the time it takes to develop this. It's also good to have several stories that might fit different situations, for example, a time Jesus healed you, a time he provided financially, a time he met your emotional need. Suggested activity: In your group, get everyone to write down a brief version of the story of how they became a follower of Jesus. (If the person has been a believer all their lives, then a story of when their faith became more real to them). Let them practice reading it aloud several times (all together). Then break down into pairs and each person tell their story to their partner without using their notes. The other person is to check that they are not using Christianese, and to suggest ways that parts of the story might be made more interesting–for example, cutting our unnecessary detail, or adding more to a relevant section. Encourage everyone to share their stories with others during the week. I love this, Felicity. It is itself a fine story and one we can all emulate. Some of us are better than others at telling stories. Typically, I can’t think of anything to say so mumble some things that don’t really come close to being useful. It’s a great way of missing opportunities. That’s why your advice to invest time in developing the skill is such a help. I intend to spend some time thinking these things through, I’d like to come up with three or four stories ready to draw upon when needed. And I also love the three part format drawn from Paul, that is helpful too. Thank you Chris!One of the main things I’ve gained from T4T (and a topic I will be blogging on soon) it’s the value of practicing skills and teaching. Previous Previous post: Easter greetings!